New US series tells of black teen’s tragic death through his family’s eyes. 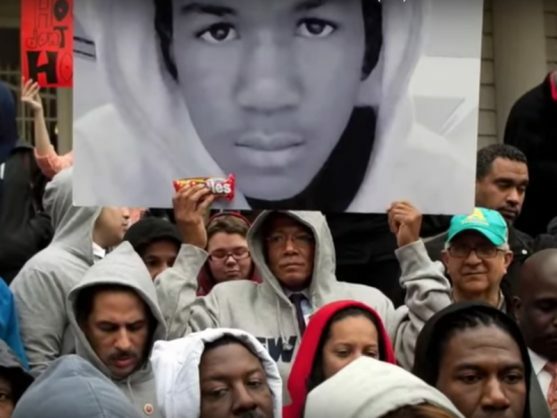 The killing of Trayvon Martin, a black teenager who went to a Florida store and was shot dead by a neighbourhood watch volunteer, inflamed the US in 2012. Six years later, a new television series, Rest In Power: The Trayvon Martin Story, relives what happened and forces viewers to confront the gut-wrenching agony of losing a child. The docu-series crystallises human loss, showing up close Trayvon’s mother, Sybrina Fulton, having to choose between grief and fighting for justice. The series premiered on the Paramount Network and BET on Monday, and was produced by Jay-Z. The viewer sees father Tracy Martin recalling a nine-year-old Trayvon saving him from a burning kitchen, but heartbroken at not being able to protect his 17-year-old son in a gated Florida community. “I want people to use what happened with Trayvon as an example – that you need to get busy now,” Fulton told a screening in Harlem.